Story includes a lookbook template page you can use to create a lookbook. 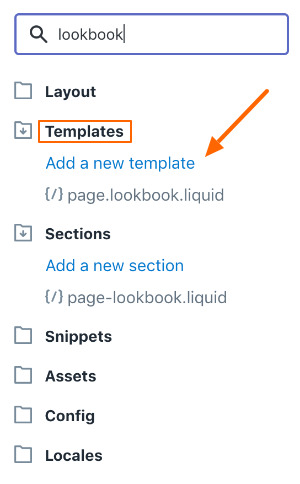 If you need a second lookbook, a new template and section file needs to be created manually. This will allow you to have unique content on the second lookbook page. Here's a walkthrough on how to create a second lookbook template and more if needed. You'll find two results, a template file and a section file. Note: This code can be used for additional lookbook templates. 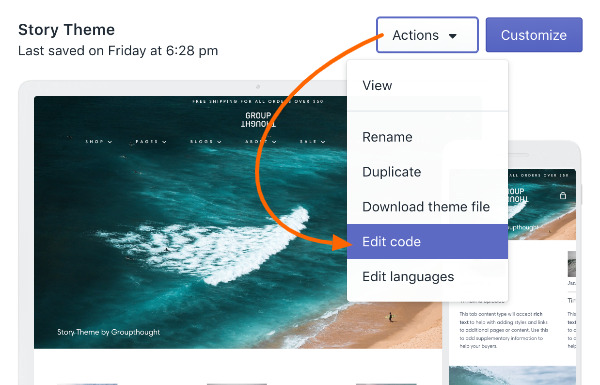 If you are creating another lookbook template, call the third section file page-lookbook-3 and use the same code from the above link. After saving the file, refresh your browser in order to help with the next step. When a new file is created in the code editor, a refresh helps with the search box. Note: The new code references the filename of the section we created in Step 2. If you are creating additional lookbook templates, then this is where you would use a new filename like page-lookbook-3. 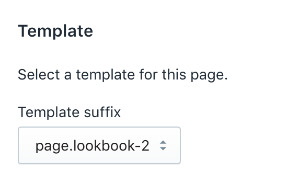 The page using this template can have unique lookbook content which is different from the standard lookbook page template that comes with Story. 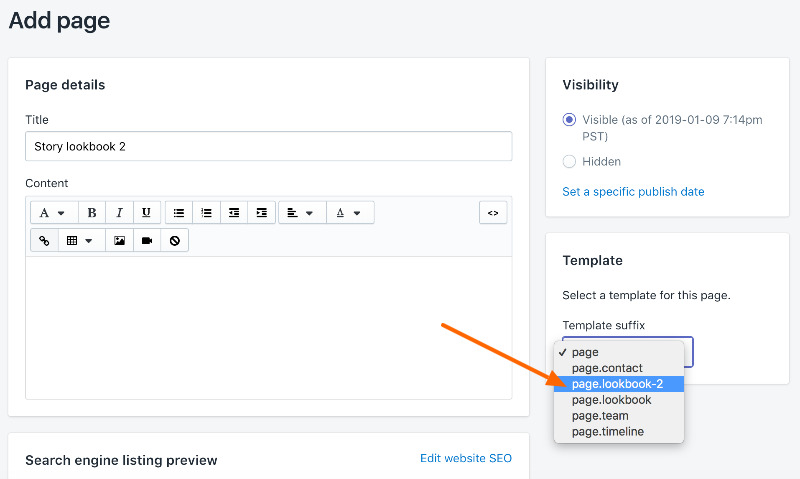 Use the Theme Editor to view the page you've assigned the new template to. 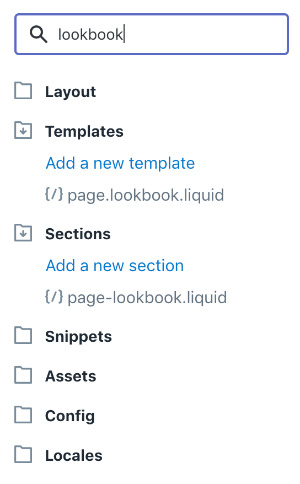 In the Theme Editor, you'll be able to customize the lookbook content. If you're creating additional templates, the steps are very similar. 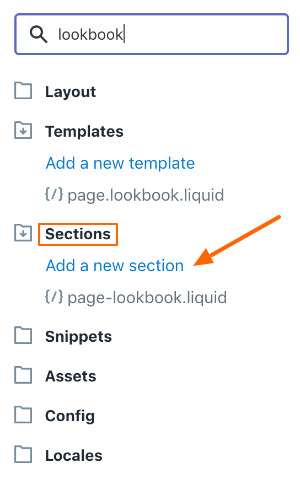 Repeat Step 2 but assign a new name like page-lookbook-3. 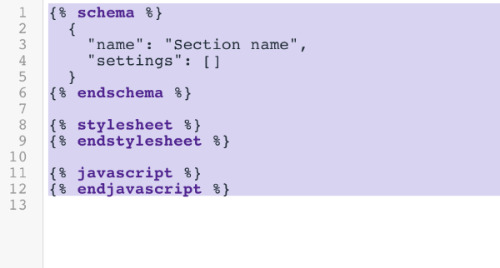 Then in Step 3, change the default template code to reference the new section filename.